If you’re having one of “those” days where you just can’t seem to get out the door on time or you need a quick fixer upper, consider opting for wide, loose waves. Section your hair between the left and right sides. On each side, section hair into three pieces for a total of six sections. This fewer number of sections is what will speed the process along. Tie up the top two sections of each side. 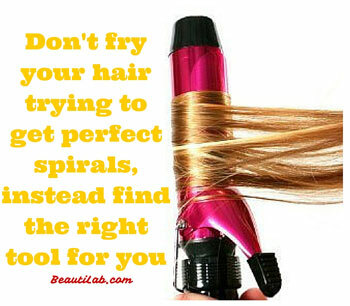 Using your favorite flat iron, curling iron or curling wand, curl each section as you normally would. Brush for waves or finger comb for loose curls, and finish with a spritz of your favorite spray and you’re good as new! Regardless of your length or thickness of hair, you should consider a barrel size of 1 inch or less with rounded edges for curls. A flat iron will create larger looser waves, not spiral curls. With each section, always keep your hand moving in one fluid motion. Starting with the section at the back of your hair, clamp the iron near the root (but not directly on it) and glide and twist as you go until you reach the tip of your hair, twisting the tip inward toward your body. Let the curl fall gently. With the next section, follow the same motion, twisting in the opposite direction if you desire more volume. Because a flat iron is flat by nature, it may not be necessary to use them on your bangs, but if you do, gently glide the iron through your bangs and away from your face. Do not clamp down hard, but rather leave the flat iron partially open so that the heat just kisses the bangs. Use your fingers to separate and spritz the curls with finishing spray. Only brush the curls if you want a thick uniform wave, rather than separated curls. A curling iron is ideal if you want to create curls while keeping control with one hand. 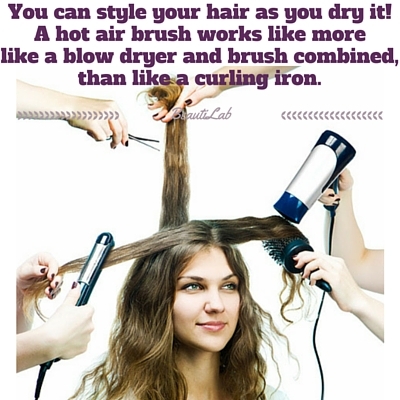 It seems that every girl learns how to use a curling iron as the very first way she styles her hair. It’s like second nature to us! In sections, clasp your hair with the iron starting an inch or two from your head and twist hair around the barrel until you reach the end. Hold the hair in place just a few seconds. Pump the clasp with your thumb a few times. This will gently release the curl but continue to keep it warm as it falls away. If you find that the end did not curl the way you wanted it, a curling iron is the easiest way to fix this. Simply clamp just the end of the hair itself and curl back inward toward your neck. 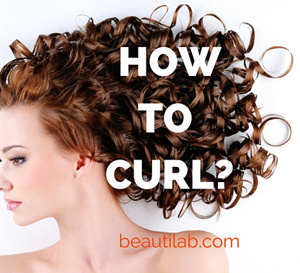 Give the curl a couple seconds to cool or hold it with your hand before moving on. When finished will all sections, use your fingers to comb or flip your head upside down to gradually shake the curls before applying the finishing spray. 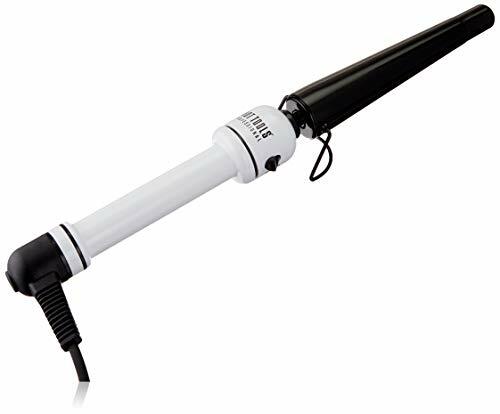 Let’s check the choices of professionals and the best curling iron reviews! 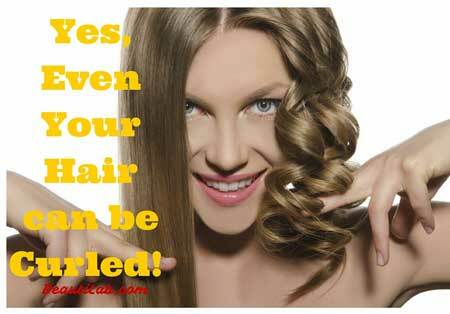 A curling wand is the best way to curl your hair if you want perfectly spiraled curls. Use both hands equally – one to hold the wand and one to wrap each section of hair. Different size barrels will create larger or smaller spirals. A tapered wand will give you wider curls at the base and smaller curls at the ends of your hair. Here’s a list of the best curling wand reviews to fit every requirement and budget. With the wand one or two inches from the base of the first section at the back of your head, wrap hair all the way down the barrel until you reach the ends. If you’ve never used a wand before, consider a heat protectant glove until you are used to it. To release, let the hair go with one hand and simply slide the wand away from your face with the other. As you continue to wrap new sections, you can create various looks as you go. All hair facing in the same direction will create uniform waves. Contrasting waves and more volume with come from twisting the hair and wrapping at the same time. When you’re finished, use your fingers to comb through, spraying with your favorite hold or shine spray as you go. With a tapered barrel in 3 different sizes, you can choose the perfect one to give you wider curls at the root and perfect swirls on the ends. The rheostat control means fast heat up and adjustment of temperature for even heating. A heat-resistant glove is included so you can style root to tip without burning your fingers. 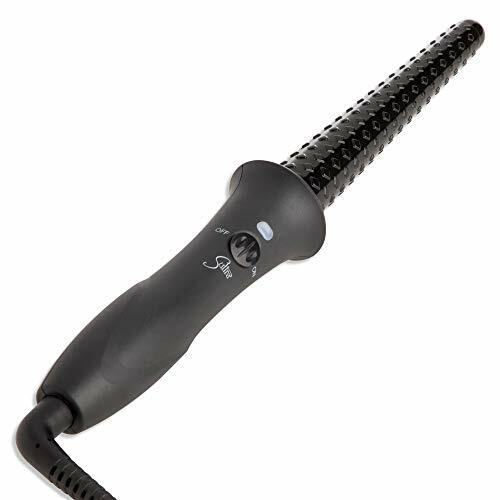 This is a truly unique curling iron. Simply clip your hair into the base of the ceramic barrel and the spiral-cut shape will guide your hair along perfectly. It reaches up to 340F with multiple settings and even heat distribution. The ¾-inch barrel is perfect for bouncy spirals. The Sultra ranges from ¾ to 1.5 inches. It heats up lightning fast and features auto shut off and universal voltage. 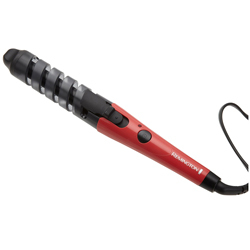 The best feature, though, is the small grips along the entire length of the barrel to hold onto hair as it heats and curls. Gently let the hair fall away from the wand, and you’ll have perfect curls every time.